While the manned mission sandbox multiplayer was already available to Early Access subscribers, the singleplayer story campaign is a very recent addition. Here, you take on the role of astronaut Mark Willis, one of the crew members in the first manned mission to Mars. Launched from Earth in 2028, the mission reaches Mars orbit a year later. However, during the descent into Mars' atmosphere, things go wrong, and connection to Earth is lost. When contact cannot be re-established, the crew is declared MIA. Yet there is one survivor: you. Marooned on Mars, Mark’s first priority is to survive. This means managing resources such as oxygen, water, and food, and creating shelter from Mars’ unforgiving sandstorms and solar events. 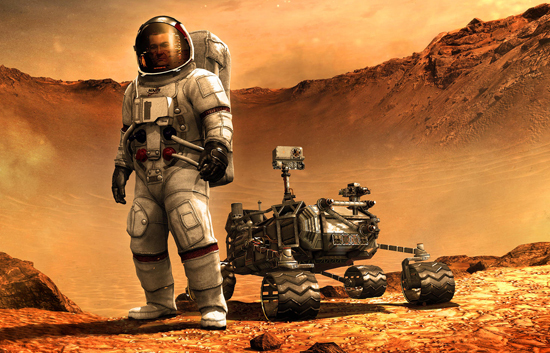 By relying on a background as a botanist and engineer, players will have to extract raw materials from the Martian soil, refine them into real compounds, and make use of a 3D printer to construct the equipment and machines needed for a chance to return home. Besides the "manned mission" story chapter, Take On Mars also features a "robotics" chapter in the Space Program campaign. In this you explore the Red Planet from the perspective of a science-driven space agency, by commanding rovers, landers, or probes to collect important scientific data. Players can also take on Mars together in the aforementioned sandbox multiplayer. The game features a variety of real-life locations based on actual satellite data, such as Victoria Crater and Cydonia, and each object, system, and instrument is accurately simulated to offer a truly authentic experience. 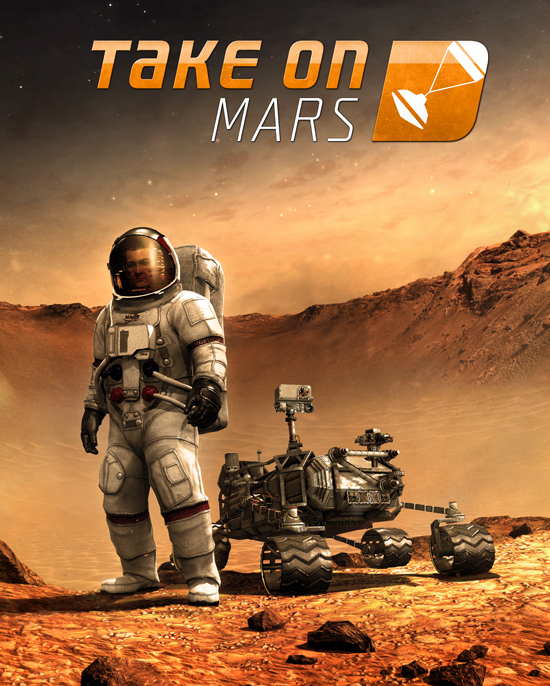 In addition, Take On Mars includes individual scenarios, set across a variety of additional locations and celestial bodies, including Mars’ moon Deimos, Earth’s Moon (Apollo 17 Moon landing site), International Space Station (with full interior), Mars Yard, and more. To round off the package, 5 training missions are available to help players familiarize themselves with Take On Mars’ gameplay. Plus, for those who would like to learn more about Mars, there is an in-game Encyclopedia available full of interesting facts about the Red Planet. Last but not least, Take On Mars features content creation tools and modding support, and players are able to share their work with other players via the Steam Workshop. To already turn mankind into the first multi-planetary species, players can still pick up the Early Access version of Take On Mars on Steam and the Bohemia Store for a slightly lower price than it will be at release. The official full launch of the game is scheduled for February 9th 2017.